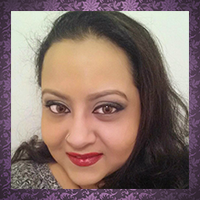 Hi, my darlings! 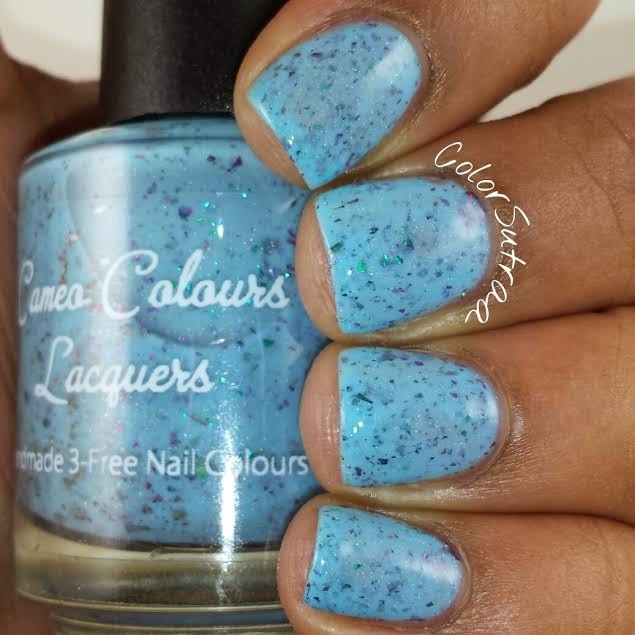 My girl, Cameo of Cameo Colours Lacquers is releasing a new collection tomorrow and this afternoon, I'd like to share my swatches with you all! 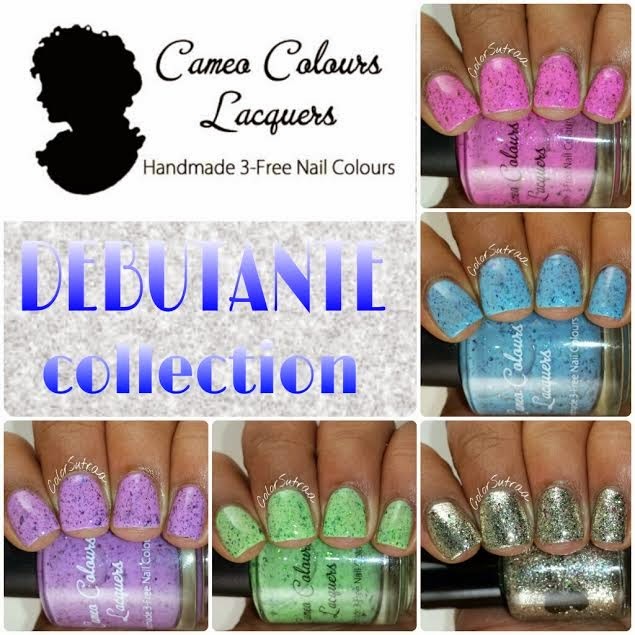 Without further ado, I'd like to present the Debutante collection, releasing Friday, May 1st. 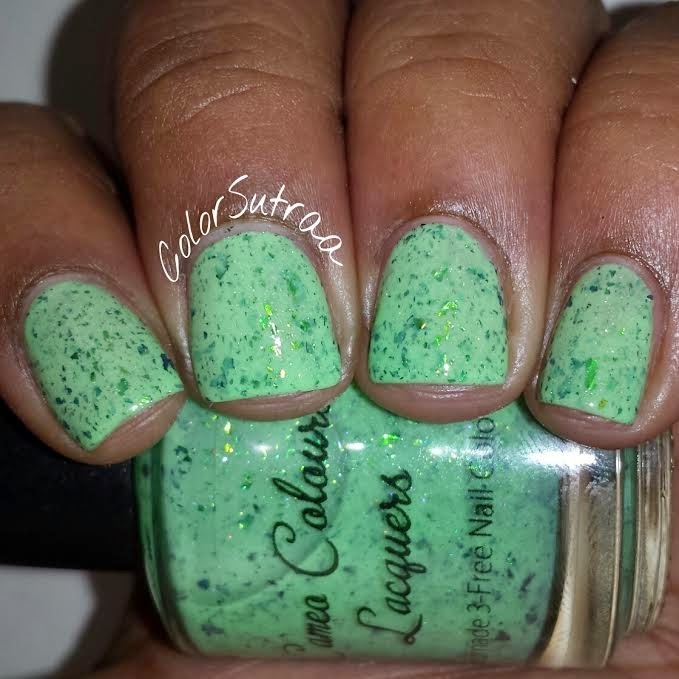 Before we get to into swatches, I'd like to mention the formula and application of these polishes. 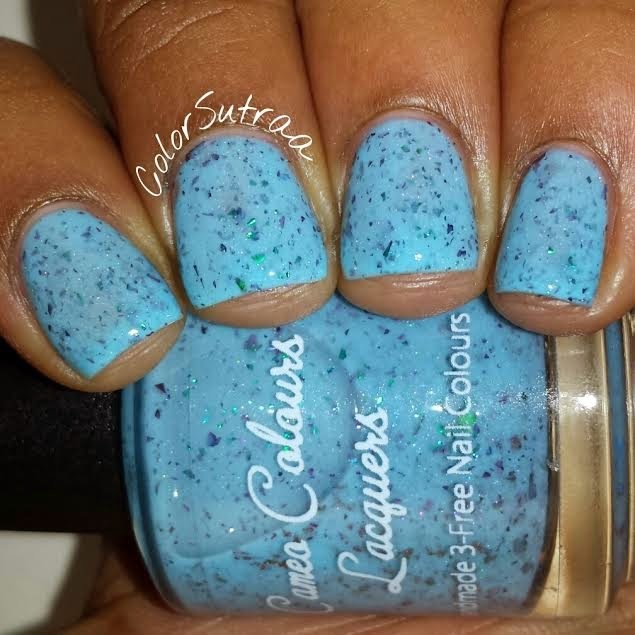 All of 5 crellies applied beautifully and except for Lucille, I used 3 thin coats for all the swatches, topped with 1 coat of Glisten & Glow's HK Girl to finish the look--perfectly opaque and none of the clumping issues that flakies sometimes have! 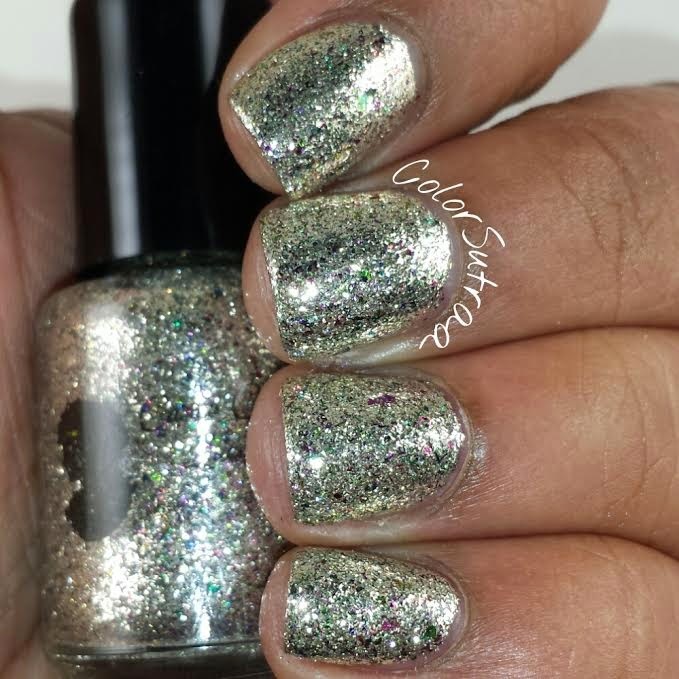 Charlotte was opaque in just 2 easy coats and smooth to the touch with 2 thin coats of Glisten & Glow's HK Girl--I loved that this one wasn't gritty or difficult to apply despite being chock-full of microflakies! 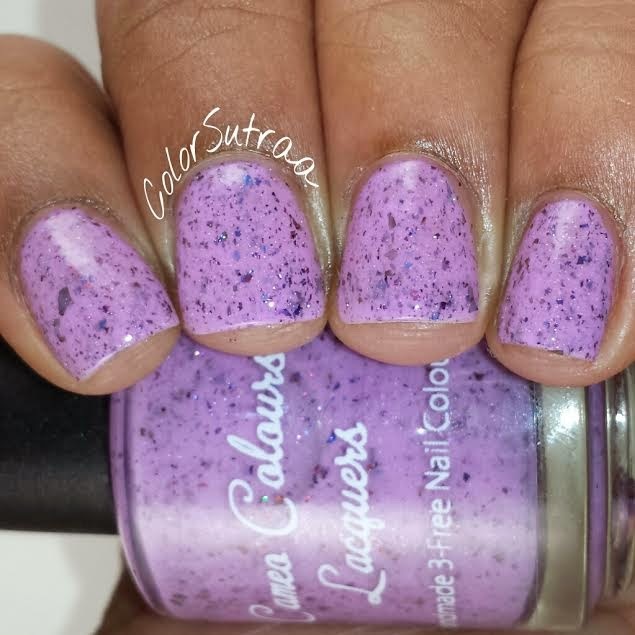 Eleanor is described as "a purple pastel-ish neon crelly, with multichromatic flakies that shift purple, burgundy, gold, and a light scattered holographic sparkle." 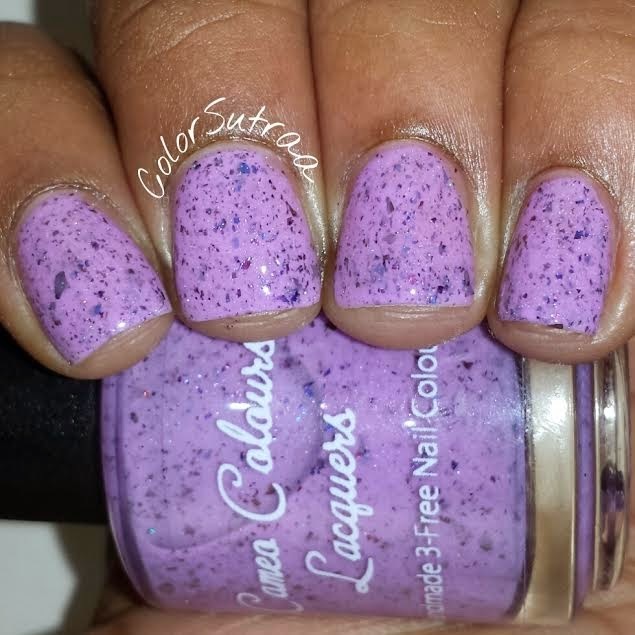 One of my favorites, I love this shade of purple! 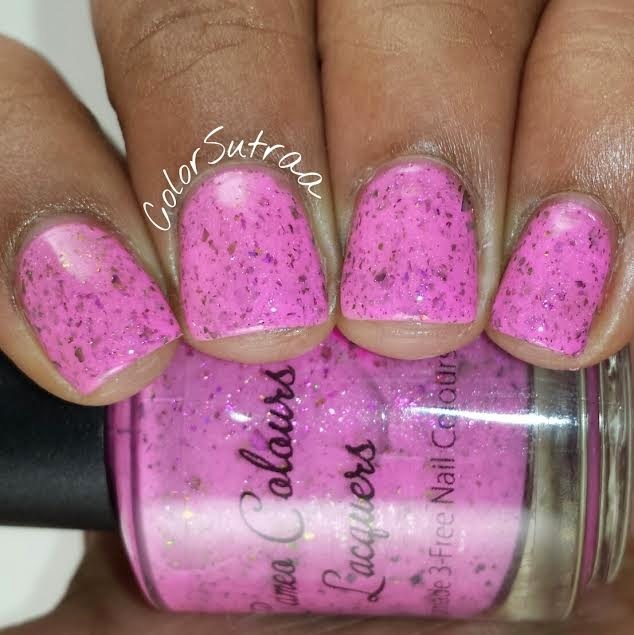 Rosie is described as "a pink pastel-ish neon crelly, with multichromatic flakies that shift pink, green, gold, and a light scattered holographic sparkle." 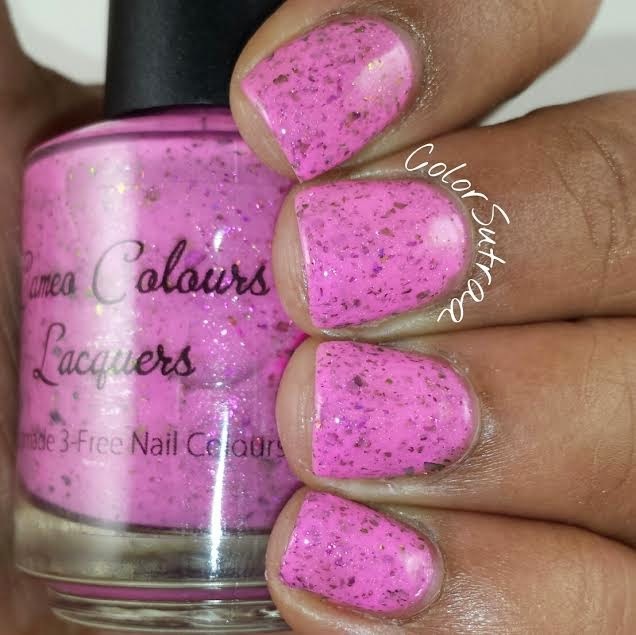 A really flattering shade of pink for my complexion! 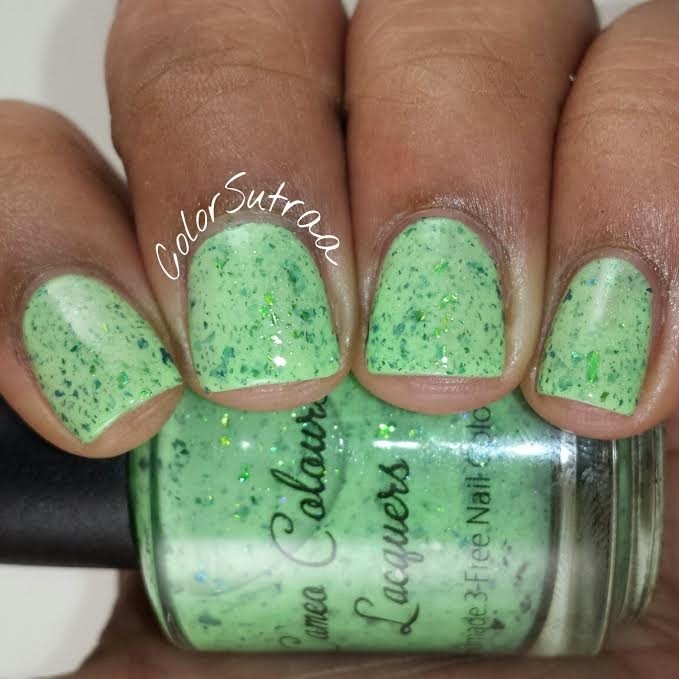 Lucille is described as "a green pastel-ish neon crelly, with multichromatic flakies that shift blue, green, teal, and a light scattered holographic sparkle." 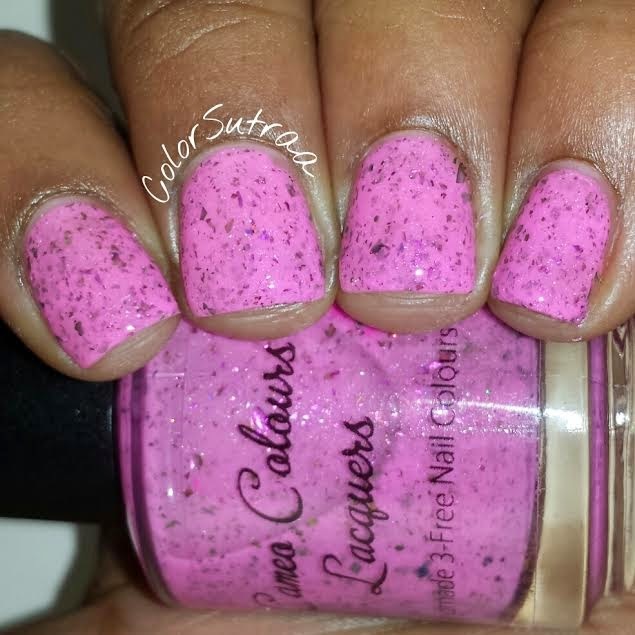 Lucille was the easiest to work with and fully opaque is just 2 easy coats. 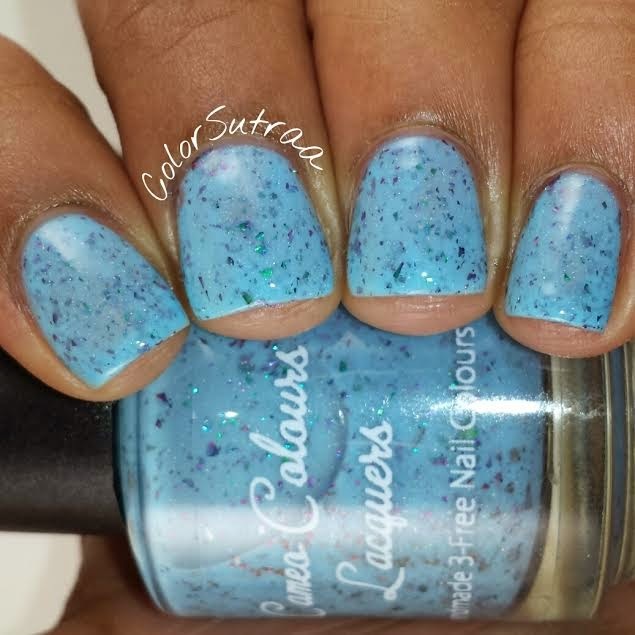 Savannah is described "as a blue pastel-ish neon crelly, with multichromatic flakies that shift magenta, teal, gold, and a light scattered holographic sparkle." 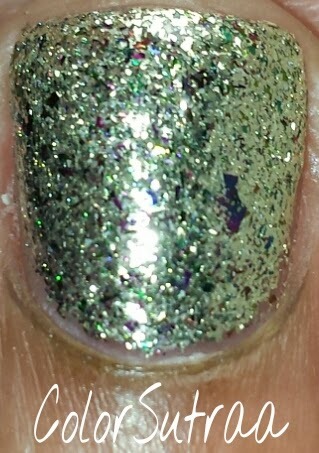 Another instant favorite! You know I love my blues! 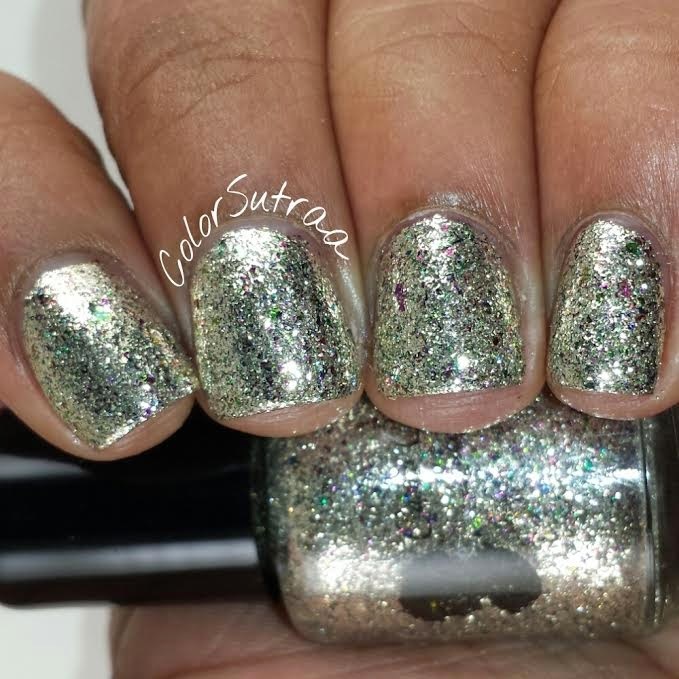 Charlotte is the only non-crelly of the bunch and is described as a micro silver flake full coverage polish, with multichromatic flakies and a hint of scattered holographic sparkle. 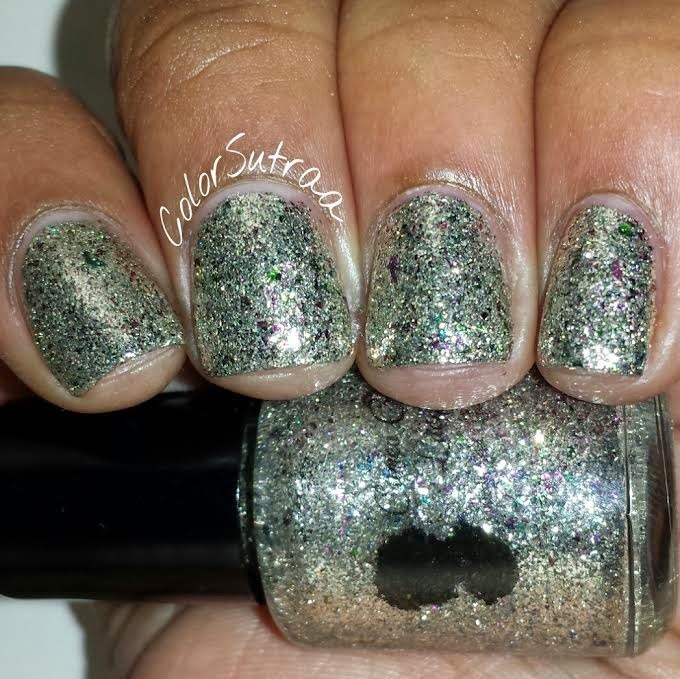 Great base for nail art! So there you have it, my darlings! 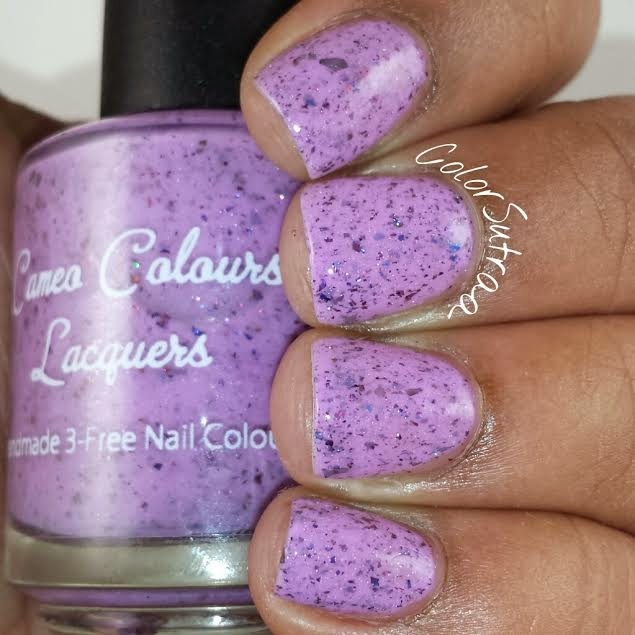 The Debutante collection from Cameo Colours Lacquers launches tomorrow, Friday, May 1st.You can find them HERE for the price of $9 for a full-size, 15 mL bottle of the crellies and $10 for Charlotte. 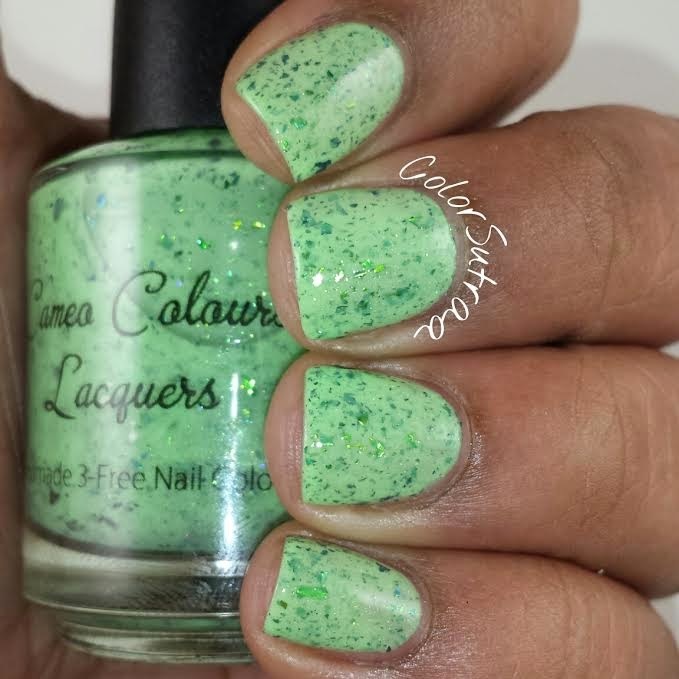 Remember to follow Cameo Colours Lacquers on FACEBOOK and on INSTAGRAM to see previews of all her other beauties and for the latest updates! Which of these is YOUR favorite? Tell me in the comments section below!